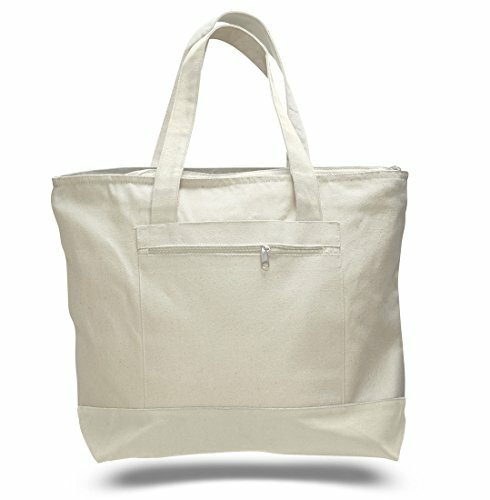 Our best fabric tote is made of heavy 100% cotton canvas with stylish shape. This sturdy heavy cotton hand bag has a handy zippered side pocket to keep your accessories, keys or phone safe. 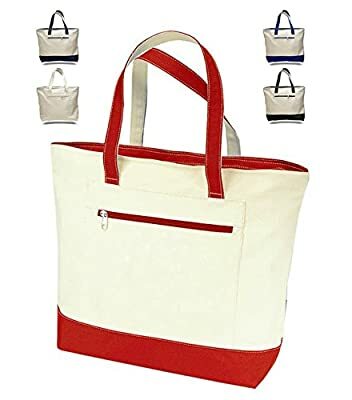 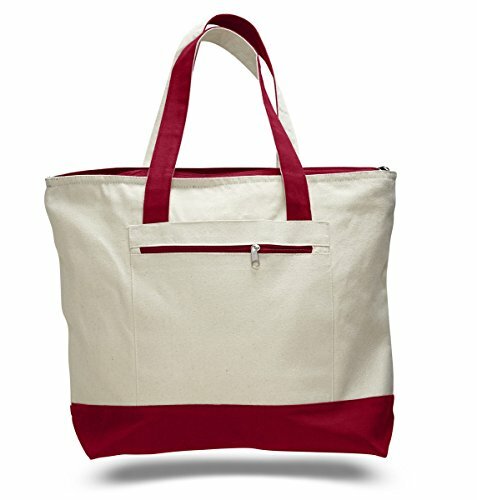 Cotton Canvas zippered shopping tote with gusset w/22" handle and inside pocket. 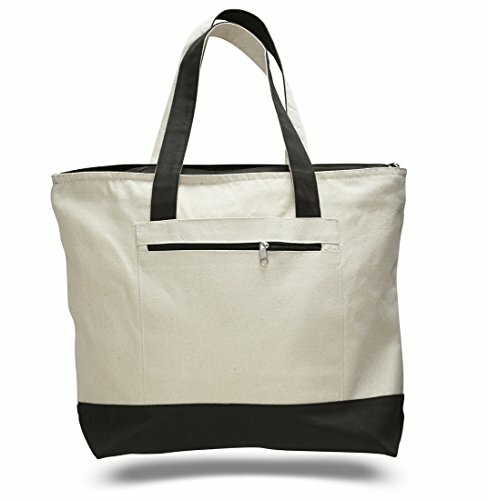 The large main zippered compartment keeps your items safe and secluded.